The AeroMaster by AeroNaut is my replacement for the Multiplex EasyStar2; I bought it from Andy's HobbyShop in Germany. I couldn't get on with my EasyStar which I was using for aerial photography with my GoProHD Hero2 camera. The model seemed to have a habit of Dutch Rolling, i.e. 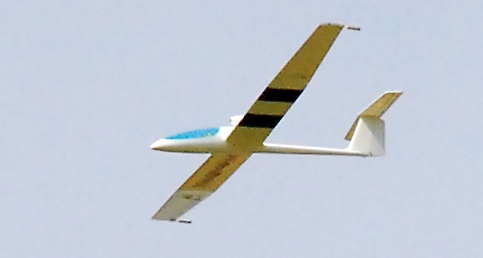 a situation where the dihedral effect of the wing is greater than its directional stability. Put simply, it I believe it had too much dihedral and wobbled continuously from side to side as can be seen in my videos. 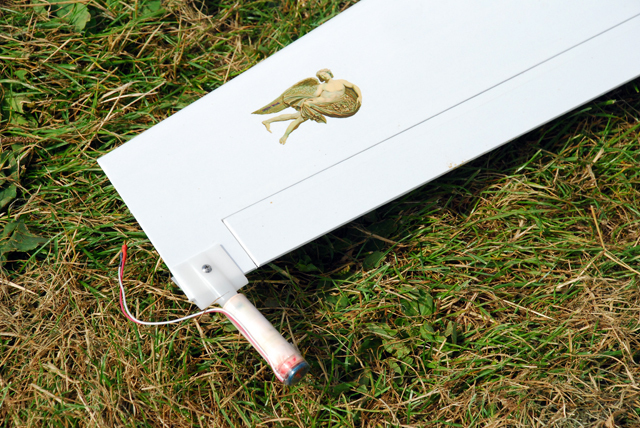 In the case of the EasyStar I think the upturned wing tips were to blame and I was just about to chop them off when I had two unexplained incidents... the model went into the bin. 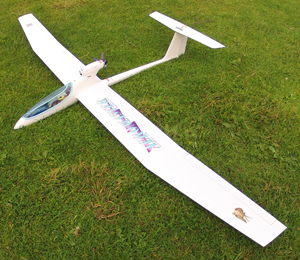 The AeroMaster is rather old-fashioned because it comes with a strong, fully sheeted built-up balsa wing instead of the more 'conventional' obechi veneered foam wing; it has a very nice white gel coated epoxy/fibreglass fuselage as well. The instructions show NiCads as a power source which reveals that is an older design. Unlike the newer electric foamies, this kit needs a lot of putting together. The motor installation was tricky (my large 35mm outrunner in a small space), the wing dowels didn't quite match up with the pre-drilled fuselage holes (grr! ); oh yes, I beefed up the mounting area around the T-tail tailplane as suggested on the fora. Προμηθεύς was a Titan, culture hero, and trickster figure who in Greek mythology is credited with the creation of man from clay and the theft of fire from Heaven hidden in a fennel stalk for human use, an act that enabled progress and civilization. He is known for his intelligence, and as a champion of mankind. The punishment of Prometheus as a consequence of the theft is a major theme of his mythology, and is a popular subject of both ancient and modern art. Zeus, king of the Olympian gods, sentenced the Titan to eternal torment for his transgression. The immortal Prometheus was bound to a rock, where each day an eagle, the emblem of Zeus, was sent to feed on his liver, only to have it grow back to be eaten again the next day. In some stories, Prometheus is freed at last by the hero Heracles. In the Western classical tradition, Prometheus became a figure who represented human striving, particularly the quest for scientific knowledge, and the risk of overreaching or unintended consequences. In particular, he was regarded in the Romantic era as embodying the lone genius whose efforts to improve human existence could also result in tragedy. The moulded pod makes it an unusual looking aircraft with plenty of scope for FPV... there's a lot of space for electronics under the canopy and in, and beneath, the motor pod. At 2.5 metres span it is a nice size, capable of thermal flight with good stability, but no violent aerobatics as I'm not sure the wings could sustain any tough manoeuvres. A pusher motor keeps the forward view nice and clean for videography and FPV. One drawback however, is the extreme cost of the three-bladed propeller, hub and spinner which came as a nasty surprise. One needs to be VERY careful launching as the propeller blades clear the fuselage (where one is tempted to hold the model!) by just about 3mm; there's no room for fingers! I chose to use cheaper versions of a 1000kV motor, 40amp Plush ESC and 4S 2200mAh Nano LiPoly from HobbyKing.com rather than those recommended by AeroNaut for the power train; they are by Turnigy. Mine is a powerful setup and on paper is capable of overkill at 600 watts; more than I'll ever need. The graphics are my own using created using Photoshop and Inkjet Decal Paper from eBay. I describe my technique elsewhere on my pages. 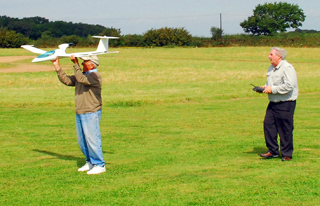 For my first trimming flight I went to Ivinghoe Beacon to throw my new model off the slope (prop fixed in position Jim!) The wind such as it was (<10mph) was on the best west face and with Keyring camera velcroed? into the front of the motor nacelle I launched... with my brother taking the sticks for the first time (a more confident flier than me). 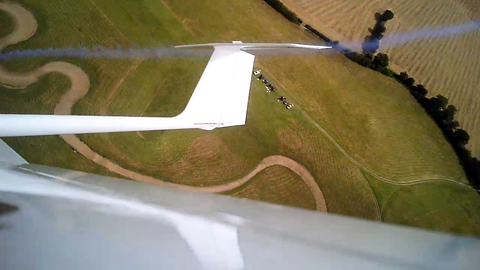 Well, the CG was too far forward and it needed a lot of up-trim but nevertheless it flew surprisingly well, stable too. On landing we took out a 20 or 30 grams of lead and later flights showed it to be in balance. I later flew the model myself with my GoPro on board and decided that the model needs up-aileron braking to slow it down on landing approach. 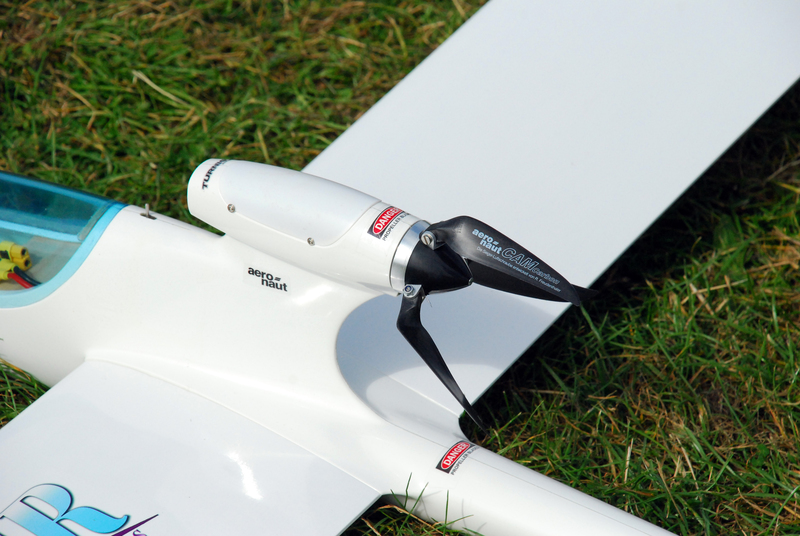 Prop: AeroNaut 42mm 3-blade Cam-Carb 9" x 7"
So to the flat field... I was invited to fly at a field in the middle of nowhere (between Faversham and Ashford) and it was an ideal opportunity to try the power train and my smoke canisters. There was power a plenty and full power would give me a 45º climb. It flies faster than one might expect as I mentioned earlier and does roll and loop although it is in no way considered aerobatic. I was disappointed as the smoke trail, the thin-blue-line as you can see it was not copious and almost invisible from the ground. Fortunately, Prometheus did not set fire to any grain or stubble fields but did carry fire (there's no smoke without fire:-) down to mankind. However, I was able to test my system and to be honest it wasn't 100% successful with one cartridge igniting before the other (a flat ignition battery I think). 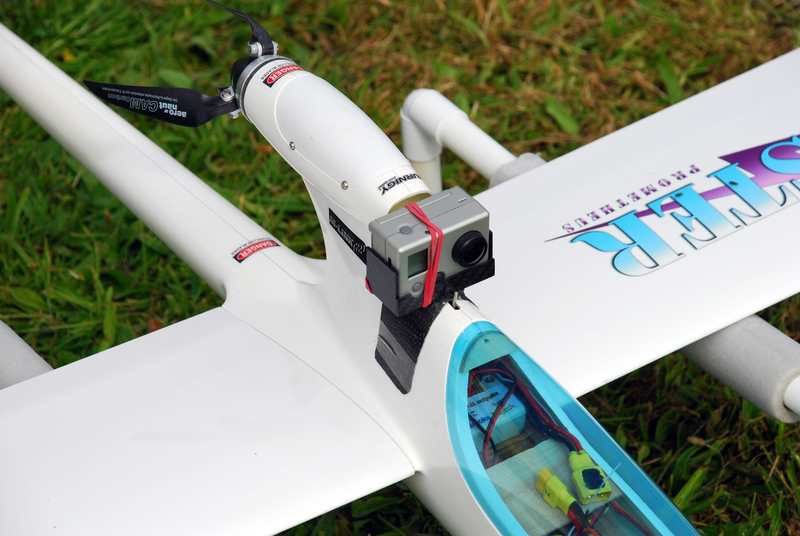 In any case, here's a few more images from that day including my mount for my GoPro and the Aero~Naut three-blade propeller.